A Stunning collection of work by John Ketchell, Frederic Dams, Joel Clark, my own photography and other artwork. Johm Ketchell – A collection of evocative and vibrant low number limited edition prints from the renowned motor racing artist, recreating the speed, energy, bravery and spectacle of historic motor sport. Where ever possible I have put together a package including a 1:18 scale model of the car featured in the limited edition print and a display case (floating shelf can also be added Please see the models section for these packages). As a gift to a special person or just to treat yourself, this is a great way to get a sense of the drama and beauty of these iconic period cars. The prints are professionally framed in satin black flat frames with mount, printed on high quality cotton paper, with certificate of authenticity on the back of the frame and ready to hang in your perfect spot. Also available unframed. 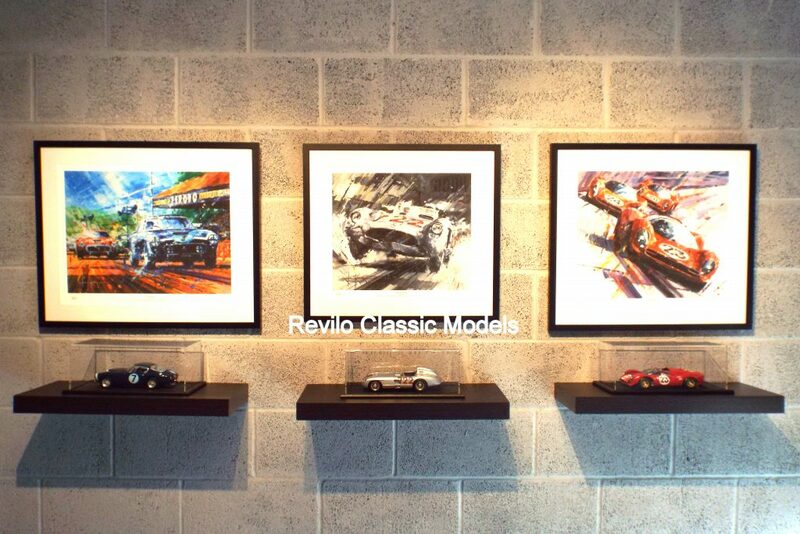 Photography – An imaginative and original range of framed photographs of some of the finest racing cars ever made. Airbrush Art – Highly details limited edition prints reproducing some of the most famous Grand Prix cars of all time.